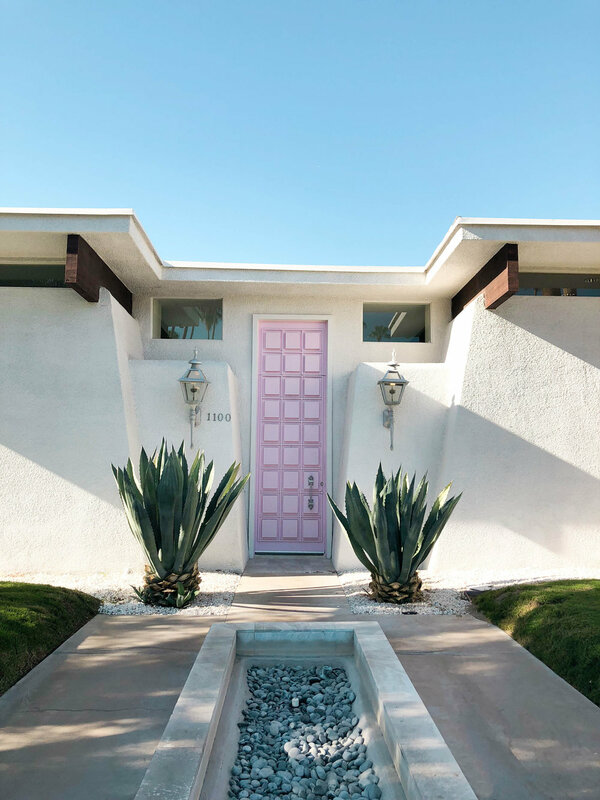 This is like the pink Paul Smith wall in LA! I went around 5pm, when the shop had already closed, so I didn’t have to worry about people in my shots and I didn't interrupt anyone’s shopping! This was my FAVORITE part of the trip! It was created by Leonard Knight, a local resident, and it took him 28 years to create this masterpiece. It’s so beautiful! The colors are very bright, and every inch of the mountain has different drawings. The messages are about God and verses from the Bible. In my opinion this place is a MUST if you visit Palm Springs. Their pool party during the weekend is also very fun! The DJ mixed top 100 songs with reggaeton, so I of course was loving it! I wish I had taken more pictures here… but the house is on private property and there is a sign that reads “No Photography” 😕. My boyfriend literally took five pictures and said he wanted to leave haha...he wasn’t down! I’ve seen this spot in so many pictures and its the cutest! If you do to stop by, do it quickly and respectfully to avoid being intrusive. To be super honest, I didn’t love Joshua tree. 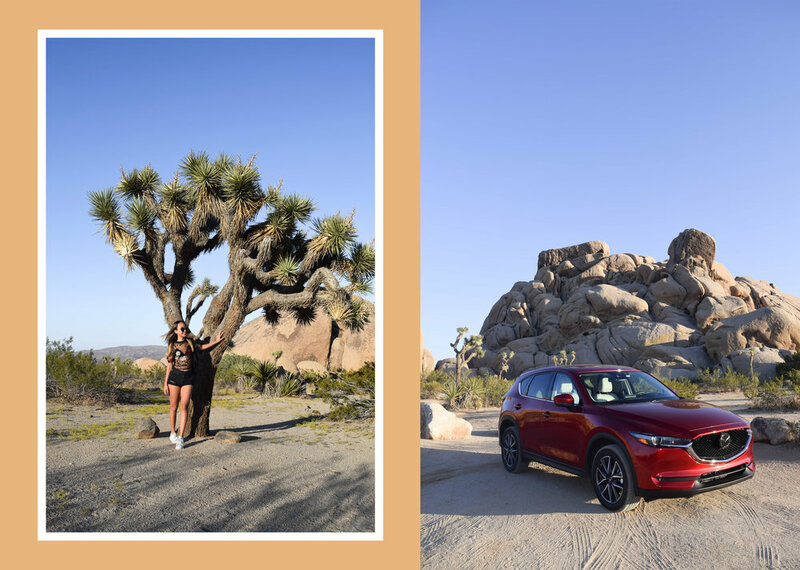 The biggest thing for me was that I thought Joshua Tree was going to have cuter cacti hahaha 🌵 However, this is a cool place to take pictures on the road and have an outdoorsy photoshoot. Make sure to visit the Cholla cactus garden!